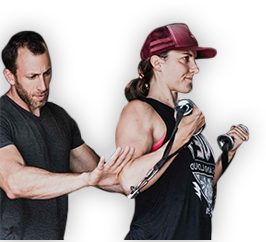 If you’ve ever bent over and felt a twinge, only to realize you can’t stand back up again, you’re a candidate for functional fitness training. In fact, it’s often the preferred type of training for Special Forces and police departments across the nation. That’s because it does more than focus on strength, it combines all types of fitness, which include strength and power, flexibility, endurance and coordination. That’s because they need those attributes in a real life survival setting, not in a static gym setting. It’s also one of the reasons that even weight lifters can use this type of training. Of course, you’re not a police officer or Special Forces, but you still need functional fitness. It’s name says it all. It’s being fit enough to do every day things without injury. You don’t have to be riding the waves to get an injury. You could be walking the paths William R Mason Regional Park, lifting a baby or bending over to pick up something you dropped and get injured. It might seem impossible, until you’ve done it and then you’ll blame it on dumb luck or bending just right, where in reality, it could have been avoided. That doesn’t mean you’ll be immune to injury, just reduce the risk of it happening. Functional fitness started with rehabilitating soldiers. After WWI soldiers returned with injuries that limited their functioning. They received therapy to help them build core strength and improve their muscle functioning for simple tasks like walking, bending, standing and sitting. Functional fitness focuses on compound movements, using several muscle groups instead of just one. It works muscle groups in multiple planes, rather than just one, like typical workouts and focuses on using the widest range of motion. It also focuses on unilateral training, coordinating muscle movements and working out on an unstable surface. The coordination of functions is an important difference. If you lift weights all day long and work on isolated muscle groups, you’ll get big beasty muscles (if you’re a man), but not necessarily functional fitness. It won’t protect you from injury if you’re stretching up to lift something off the top shelf of the cupboard or bending and twisting at the same time to pick something up off the floor. Even those with the biggest muscles can be blindsided and injured if they aren’t functionally fit. Exercises that use multiple muscle groups or require constant changes in those groups can help boost your functional fitness. You may think walking, while lifting and flipping a tire ahead of you is strength training, but it’s really for overall functional fitness, with strength training only part of it. Functional fitness is great for seniors. It can help keep them independent longer by improving their muscle strength, agility and balance. That helps lower the risk of falls. For those just starting an exercise program, using their own body weight for resistance is often the best place to start. Always check with your health care professional first before starting any exercise program. If you have a health condition, make sure you share that information with your personal trainer.